Don't Wear a Rainbow Wig. 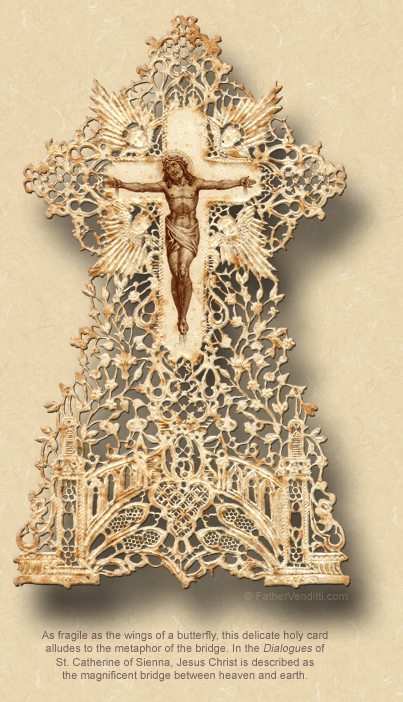 The Feast of the Exaltation of the Holy Cross. • Psalm 78: 1-2, 34-38. 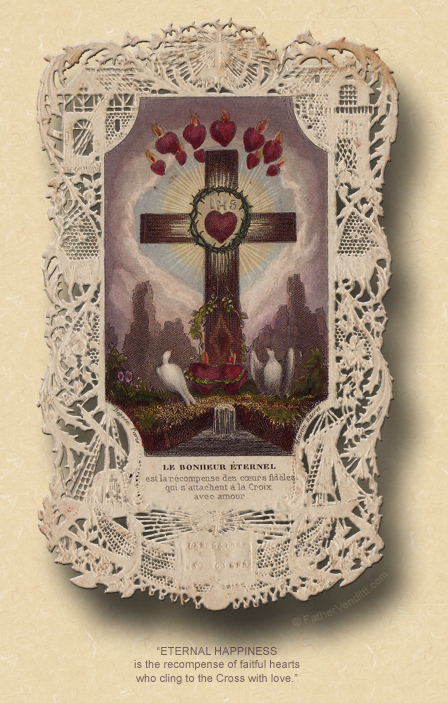 The Second Class Feast of the Exaltation of the Holy Cross. • [Gradual] Philippians 2: 8-9. • I Corinthians 1: 18-24. • John 19: 6-11, 13-20, 25-28, 30-35. 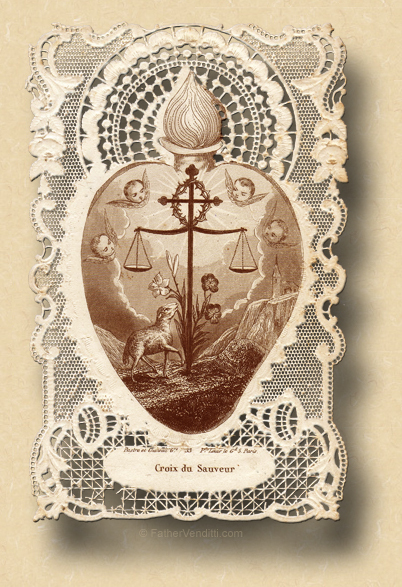 8:43 AM 9/14/2016 — Today’s feast actually commemorates two anniversaries, most notably the discovery of the Cross of our Lord by the Empress Saint Helena on August 18th in the year 320; the largest extent relic of the True Cross was then transferred to Rome and is now housed for veneration in the Basilica of the Holy Cross of Jerusalem in Rome, and I had once the privilege of offering Holy Mass there many years ago. But, today also commemorates the erection and dedication of three churches in Jerusalem, all built by the Emperor Constantine: one, a round church called the Anastasis, built above the empty tomb of our Lord; another a basilica called the Martyrium; and the third a shrine in the square in between the other two called the Calvarium marking the place of the crucifixion. Dedicated in 335, they were destroyed by the Persians in 614. The Anastasis and the Martyrium were rebuilt by Patriarch Modestus of Jerusalem around the year 626, but were destroyed again by the Muslims in 1009. The present Church of the Holy Sepulcher, built by the Crusaders, was dedicated in 1149. Today, we celebrate the Feast of the Exaltation of the Holy Cross not so much to honor these building projects, but to contemplate the mystery of the Cross itself and its meaning in our lives, and we do so by hearing a verse of Scripture in our Gospel lesson with which we are all familiar. 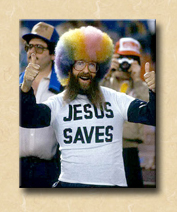 Some of you are old enough to remember watching a baseball game on television and seeing a man seated behind home plate wearing a rainbow wig and holding up a sign which said, “John 3: 16.”** Well, this is that verse: “God so loved the world, that he gave up his only-begotten Son, so that those who believe in him may not perish, but have eternal life” (Knox), a verse which, despite its deep Catholic meaning, has since become the linchpin of Protestant theology, so forcefully preached by that great American evangelist, John Wesley. He was an Anglican layman, born in England, who set out to reform the Church of England from within, but unintentionally ended up founding his own religion, which today is known as the Methodist Church. He died in the United States in 1792. Wesley’s particular contribution to the history of American Protestantism was an institution that continues to this day, called the Revival. You’ve seen them before on television. Billy Graham was a big proponent of the revival, even though he was a Baptist. It can take various forms, but the one part of the revival which never changes is when everyone comes forward with their hands raised up declaring they are saved. And how can someone declare himself to be saved? Because, in John 3: 16 Jesus says that all you have to do is believe in Him and you’re saved. Nothing else is required. No sacraments. No priests. No Eucharist. No confession. Nothing. Just declare your faith in Jesus, and you’re going to heaven. It’s a classic example of Protestants doing what they do best: taking an isolated verse of Scripture totally out of context, and turning it into a maxim of dogma all by itself; which, of course, it not how the Bible is meant to be read. And this Son of Man must be lifted up, as the serpent was lifted up by Moses in the wilderness; so that those who believe in him may not perish, but have eternal life. God so loved the world, that he gave up his only-begotten Son, so that those who believe in him may not perish, but have eternal life. When God sent his Son into the world, it was not to reject the world, but so that the world might find salvation through him (3: 14-17 Knox). For the man who believes in him, there is no rejection; [but,] the man who does not believe is already rejected; he has not found faith in the name of God’s only-begotten Son. Rejection lies in this, that when the light came into the world men preferred darkness to light; preferred it, because their doings were evil. Anyone who acts shamefully hates the light, will not come into the light, for fear that his doings will be found out. Whereas the man whose life is true comes to the light, so that his deeds may be seen for what they are, deeds done in God (vs. 18-21 Knox). Did you ever see a Dracula movie? When you first see Dracula in a movie, who is he? He's this suave, sophisticated man about town, slicked back hair, always dressed to the teeth, seducing impressionable women with his perfectly polished charm; but, he never walks in front of mirrors, he never comes out in the daylight, because if he did, who he really is would be exposed. He makes darkness his home to perpetuate the illusion of being just like everyone else. *** And in the Church of Jesus Christ we have many spiritual “Draculas”: men and women who go through the motions expected of them as members of the Church, but they have some secret, some dark room in their hearts where the light is never turned on and where the curtains are always drawn lest anyone see inside. For example, when husband and wife make love, they close the blinds and lock the door, but not for any sinister reason. They hide what they're doing from prying eyes simply because it is something for themselves alone and is no one else’s business. But when a person is there with someone who is not his spouse, he closes the blinds and locks the door for a very different reason: not out of concern for modesty or privacy or the innocence of his children, but to hide what he knows is wrong. And so a part of his life must then be lived in “darkness.” He is, in fact, living two lives: one in the daylight and one in the darkness, struggling all his life through to keep the two from ever touching one another. And when, out of carelessness or spiritual fatigue, the two collide—as they usually do—he must suffer the embarrassment and the scandal that his secret life causes in the eyes of those who knew him in the light. Right after this conversation between our Lord and Nicodemus the Gospel says that Jesus and His disciples then went to Judea where Jesus is Baptized by John, thus beginning His journey to the Cross. The Cross is the focus; from the beginning until the end of our Lord’s public life, the Cross is the focus. What does it mean to “believe” in the Son of man as our Lord describes it here? It means to believe in the Cross. Just as the Israelites believed in the snake on a pole, so we believe in the God on the pole. To stand in the shadow of the Cross means to stand in the light, with your deeds clearly exposed, with nothing to hide, because of a life lived with God. We are sometimes tempted to become Wesleyans or Methodists—not in fact, of course, but in belief—because we want to believe that saying it is enough. We show up on Sunday, sometimes; we go through the motions; we allow ourselves to be counted in some ecclesiastical head count. What more is required? Well, take out your Rosary and look at what's dangling from the end of it. Just gaze upon the Cross and you will see what more is required: not just saying it, but living it, like our Lord did when he gave His life. "For God did not send His Son into the world to condemn the world, but that the world might be saved through him" (3: 17 NABRE). And the world is saved through Him because he died on the Cross to pay for our sins, so that we wouldn’t have to. But what that presupposes is that we’re now going to live as if we’ve been saved. * In the Ruthenian recension, the Holy Day of the Exaltation is a day of Strict Fast from both meat and dairy products. The Veneration of the Cross properly takes place at Matins; but, in the Ruthenian recension, it may be transferred to the Divine Liturgy in parishes which do not celebrate Matins in the following simplified manner: the Cross, decorated with flowers, is placed on the Holy Table (altar) prior to the Liturgy and is incensed at the beginning of the Divine Liturgy prior to the opening of the Royal Doors. After the doors are opened, the priest processes with the cross to the nave of the church and places the cross on the tetrapod in front of the soleas, and incenses around it three times, after which he continues with the incensation of the iconostas and the people and the Liturgy continues in the usual manner. 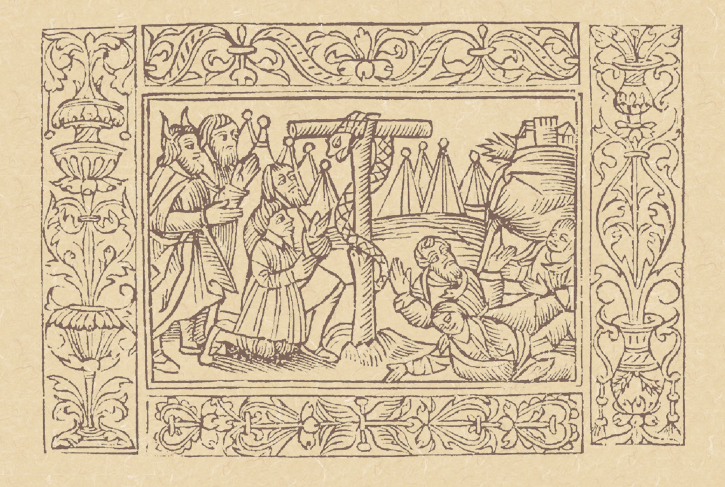 The Trisagion ("Holy God, Holy and Mighty…"), sung prior to the lessons, is replaced by the troparion of the Cross ("Save your people, O God…") during which the priest incenses again three times around the tetrapod. At the end of the Liturgy, the people approach the Cross, touch their foreheads to the floor, then kiss the Cross. ** Rollen Fredrick Stewart (born February 23, 1944), also known as "Rock'n Rollen" and "Rainbow Man," was a fixture in American sports culture, best known for wearing a rainbow-colored afro-style wig and, later, holding up signs reading "John 3:16" at stadium sporting events around the United States and overseas in the 1970s and 1980s. *** Purely as an aside, note that this popular image of Dracula has its origin, not in Bram Stoker's ponderous, unreadable novel, but in the first of the stage plays, and later Tod Browning's 1931 Universal film based on it, both starring Bela Lugosi. The presentation of the vampire in the novel is somewhat of a cross between a man and an animal: unattractive, with hairy palms and face, exuding a foul odor, and certainly not perpetually dressed as a head waiter. Misconceptions abound regarding Lugosi's seminal performance, in which he put his own indelible stamp on the role, completely reinventing the character created by Stoker. The play toured for several years in two companies, Lugosi taking the title role in the one covering the West Coast of the United States, contributing to his selection to play the movie role after the play premiered in Hollywood. It was, in fact, his first starring role on stage, as he was never the “Clark Gable of Hungary,” as often supposed. All of his roles in his native country were supporting ones, his claim to fame being rather as the organizer of the first labor union in Hungary (for actors), which led to his flight from Hungary after the Communist takeover. Another misconception about Lugosi was the rumor that the halting, punctuated delivery of his lines in the film was due to reciting his lines phonetically because he didn't speak English. This may have been true when he first arrived in New Orleans and started working there; but, Lugosi had, in fact, worked on stage in the United States for a number of years prior to making the film, and knew the language well by then. Offered the role of the monster in Universal's second horror classic, James Whale's 1931 film, Frankenstein, Lugosi turned it down because it was not a speaking role and thought it beneath his talent level. The role instead went to an unknown stage actor named William Henry Pratt, whose stage name was Boris Karlof. As a further aside, when Universal prevailed upon a reluctant James Whale to make his 1935 sequel, The Bride of Frankenstein, based on the second half of Mary Shelley's novel, his star, Karlof, protested that it was a mistake to give the monster lines to speak, in spite of the fact that, in the novel, the monster eventually becomes verbose, with heart-wrenching monologues that go on for entire chapters. Karlof's last appearance on screen as Frankenstein's creation was in Rowland V. Lee's visually stunning 1939 Universal film, Son of Frankenstein, opposite Basil Rathbone, which was based on nothing from the novel, but in which Bela Lugosi gave what many regard as the best performace of his career, as Ygor, the monster's hunch-backed friend and caretaker.